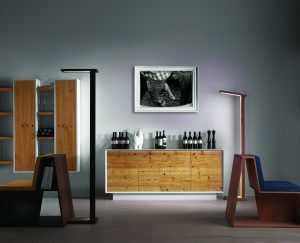 LED FLOOR LAMPS IN SOLID WOOD - Martini S.r.l. Inside our assembly department, in collaboration with Belloni Cucine from Fossalta di Piave – Venice, we manufacture customized floor lamps, on client’s project, adaptable to every corner of the room and able to make your home unique. A fashionable product that combines together aesthetic and functionality, simple and elegant, matchable with both classic and modern furniture. Unmissable furnishing component for your living room or bedroom to make your home cozy and unique. 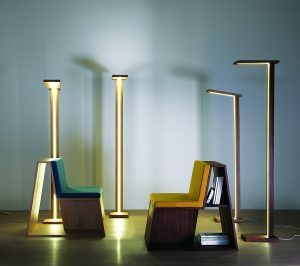 Design floor lamps built in solid wood equipped with energy saving LED light, that can be adjusted in brightness according to different needs thanks to the dimmer, and able to restrict consumption. The perfect match between aesthetic and functionality makes our floor lamps real furnishing elements that enhance the surrounding environment making it homey. Moreover, they don’t need much room and their light weight makes it easy to move them to different corners of the house.